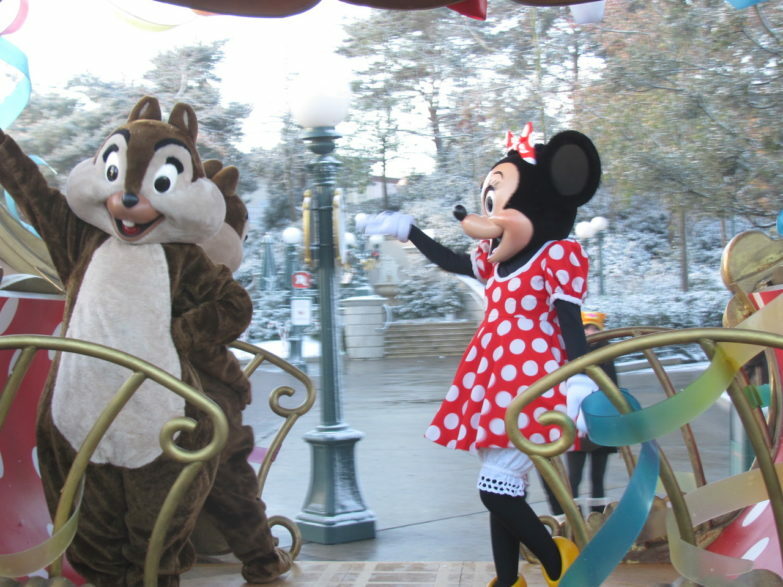 A Perfect day at Disney… in the snow! 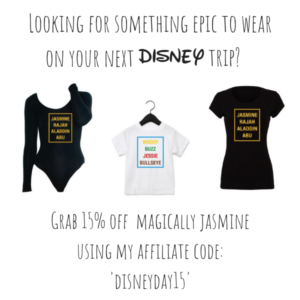 I’ve been to Disneyland Paris many times and Disney World in Florida twice. But have never been with my little girl. 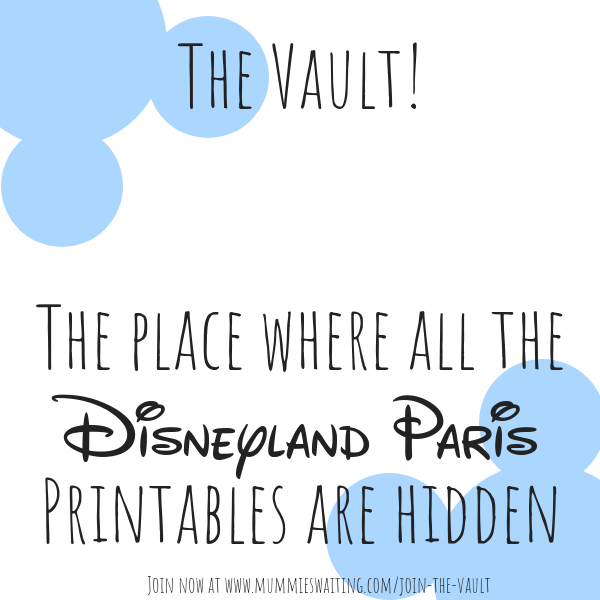 I think for her first taste of Disney we will be visiting Paris first as it is smaller and so much easier to do in a weekend. In Paris, I have stayed in a hotel away from the resort and both the Santa Fe and Newport Bay Hotels in the Disney Resort. In an ideal world (i.e. if money were no option and my partner agreed to it!) I would LOVE to stay in the Disneyland Hotel right at the entrance to the parks. It always looks amazing. And of course it means there is less walking! But in real life, we probably won’t be visiting until our little girl can enjoy some of the larger rides. If we are going when she is 5 then she will be able to walk a bit further, and so a repeat stay in the Newport Bay would be lovely. Though my partner loves Marvel so he may want to stay in the New York when it reopens in 2020. The walk around the lake is great on a Spring Morning. We will probably be awoken by a very excited little girl. She wakes up at around 6.30 am at the moment, and I cannot see that as changing much, especially if she knows about the exciting day ahead! There will probably just be the three of us, myself, my partner and our little girl. I do love to plan ahead, but also am quite happy to let the course of the day just go in whatever direction. I’d love her to have a character breakfast to meet some of her favourite characters. She adores all the princesses even at 3 years of age. And it will be a great way to get some photos before the day even begins. We would therefore already be in Main Street USA of the main Disneyland park after breakfast. Which is the perfect place for heading on over to Discoveryland. Here is one of my favourite rides in Disney, the Buzz Lightyear Laser Blast. But I would let her Daddy go on it with her, because I think that they would both really love it. 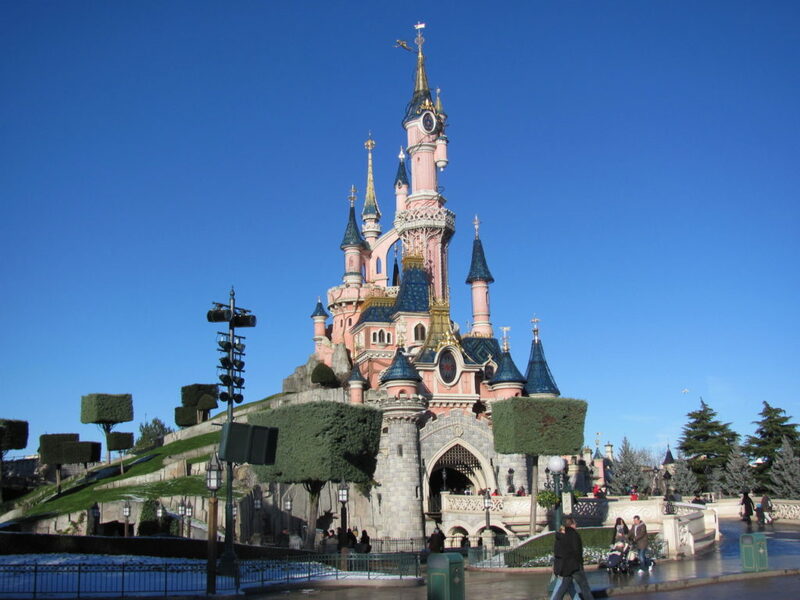 Then, we would walk through Sleeping Beauty’s castle – before arriving in Fantasyland. Here are so many rides that I would let my little one choose which one she wanted to go on. My choice would be “Small, Small World”. But I think that she would also love the Peter Pan ride. We would try to have a quick counter service lunch, before heading back to Main Street for one of the princess parades at lunchtime. Last time I was in the park, we had lunch at one of the places with counter service in Frontierland. It was quick and reasonably cheap. Then in the afternoon, we would head into Adventureland. First would be the Pirates of the Caribbean ride. This has always been one of my favourites. But then we would go for a little walk through the pirate galleon. This can be a bit of a maze, and I once went to the park just before Christmas. 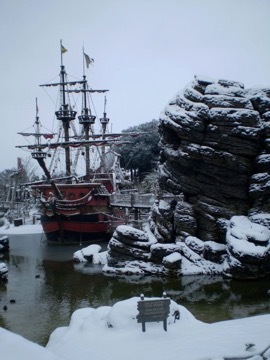 In the snow the Pirate Galleon and beach looked amazing! We would make our way into Frontierland towards the Thunder mountain ride. I love big rides, but Daddy doesn’t, so we would let him sit this one out. As long as she is just over a metre tall, E would be able to ride this one! If we have time, we’d try and get a trip to the Phantom Manor in before it is time to get back to Main Street for the evening parades. We would have a quick bite (and maybe a coffee for Mum and Dad) or maybe even an ice cream at the Gibson Girl Ice Cream Parlour. We would hang around to watch the evening parades. 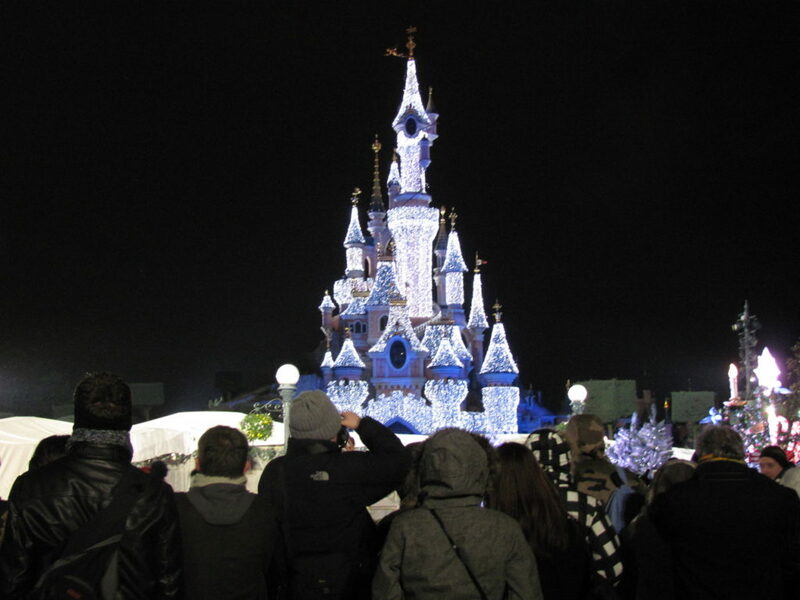 But our little girl would probably be getting tired before the illuminations or the kiss goodnight, but I would love to get a photo of the castle illuminated at night. And we would head back to the hotel via the Disney Village. My favourite place to eat there has always been Planet Hollywood. And then it would be back to the hotel. Our last thoughts before going to bed? 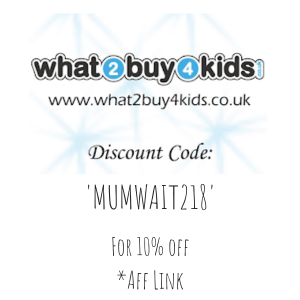 Of course we have booked 2 perfect days! We’ve got the Walt Disney Studios Park to do tomorrow. And that means Crush’s Coaster! A qualified dentist, I took a career break about 18 months ago to focus on rediscovering my mojo. 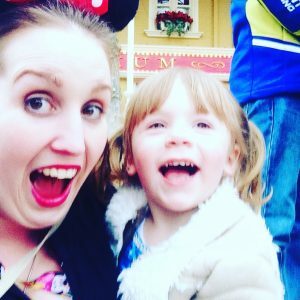 I blog about being an older mother and all that brings, passing on my stress busting tips and also about my favourite hobby of sewing.